Sure, they used to jam during slideshows, leaving the audience with nothing but a blank screen – but until the 80’s, slide projectors were the most effective way to share images such as vacation pictures or corporate presentations with large groups of people. For our younger readers: these so-called “slides” are small pictures in a plastic or cardboard window that can be shown using a projector. They were just as much a part of the 80’s as Madonna, cassette tapes and the the first portable game devices (that contained only one game). Back in those days, slides were immensely important to ACS (Audiovisual Conference Service). Along with overhead projectors, slide projectors were a constant presence at the conferences, events and congresses we facilitated. And these technologies were just the beginning: over time, more new AV solutions followed. We experimented with ways to transmit images electronically, first via cameras and video projectors, then via revolutionary live connections for long-distance transmissions, video conferencing and more. And where are we now? Well, ACS certainly doesn’t use slides anymore. Nowadays, we rely on smart IT solutions and the most advanced AV technologies available. Ever since our company was founded in the 80’s, ACS has kept up with the times. By pioneering the use of video technologies as they emerged in the 90’s, we began to specialize in video, sound and lighting solutions for corporate events like stockholder meetings, product presentations and conferences. In addition, our sister company Eventresult provides a host of smart IT solutions for the conference industry that augment our innovative audiovisual solutions. A prime example of our philosophy is the Presentation Management System we developed together with Eventresult. This system is used at conferences to make sure that every presentation starts on time. In addition to the technical solutions, we also provide a centralized speaker service center , where speakers can get the support the need – both before and during the conference. This unique approach allows us to deploy state-of-the-art AV solutions and IT systems, including webcasting , overflow, digital signage , narrowcasting and voting systems. The Presentation Management System saves time, prevents mistakes, maintains quality and contributes to a professional look and feel. Our work transcends borders. We have several local branches in the Netherlands, each fully stocked with audiovisual technology. ACS has offices in Amsterdam, Utrecht, Rotterdam and the Amsterdam RAI, which has selected us as its preferred supplier. And we don’t limit ourselves to the Netherlands. We offer our services in conference cities all across Europe, from Paris, Barcelona and Vienna to London and Copenhagen. Of course, our operation was much smaller in the 80’s. We started out in Amsterdam. Back then, ACS was a part of the Amsterdam RAI. 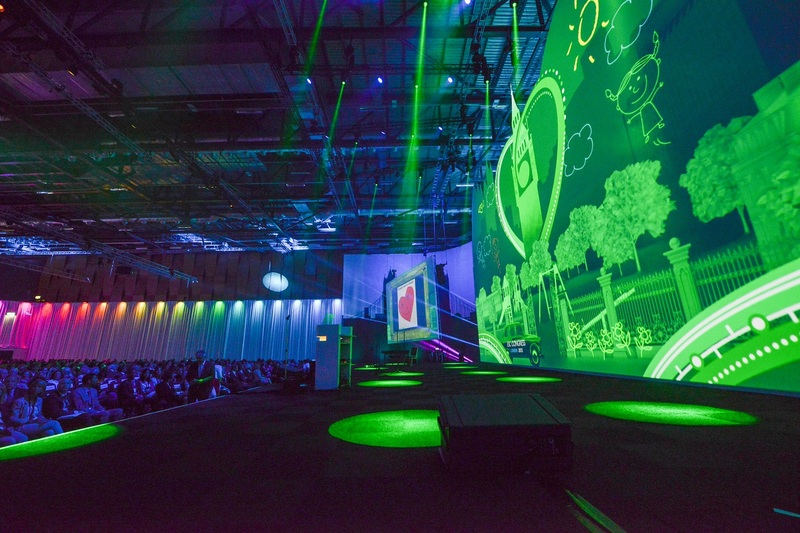 In those days, the demand for quality AV solutions at conferences was growing rapidly. The Amsterdam RAI used ACS to meet that demand. After the initial AV boom, ACS grew steadily, evolving into the international player it is today. Then, in the late 90’s, the company began to grow exponentially. We changed our name to ACS&Projects and started taking on projects outside the RAI. To increase our rental coverage, we acquired two AV companies during this period: SCHAAY and Avisco, based in Rotterdam and Amsterdam, respectively. This allowed us to expand our base of operations greatly. Our acquisition of Avisco made us the go-to specialist for AV solutions for hotels and meeting centers. In 2009, we opened new offices in Utrecht. In 2004, our company separated from the Amsterdam RAI and became its own entity. Two years later, we changed our name to ACS audiovisual solutions. Why the switch? For starters, our new name fits better with our corporate philosophy and ambition. We want to make sure that business events run as smoothly as possible and that participants never have to worry whether they’ll be able to share information effectively. We support them by providing a comprehensive selection of AV solutions and IT services. The number of visitors ACS can handle at conferences is almost unlimited. Whether it’s fifty people or a hundred, five hundred visitors or thirty thousand. In the 90’s, the RAI couldn’t host more than seventeen hundred visitors. That wasn’t enough. Even then, conferences had become more demanding. Not just in terms of AV solutions, but in terms of attendance as well. The throngs of visitors grew and grew, overwhelming the capacity of available conference rooms. ACS decided to tackle this problem by building temporary rooms, which helped conference centers greatly increase their capacity. We’ve since perfected this technique. Now, we can transform any conference space into a fully functional, fully furnished room, complete with audiovisual solutions and a fitting look and feel. Our concept has proven its worth many times over. Take, for example, the cardiology conference we helped organize in Paris, with a total attendance of 33.000 visitors and participants. ACS sent a convoy of 38 trucks from Amsterdam to the French capital. In these trucks, we packed six kilometers of shelving, 7.2 kilometers of curtains, 2.5 kilometers of walls, 23,000 square meters of carpet, 18,000 chairs, 42 kilometers of cables, 360 microphones, 262 speakers, 59 projectors, 1,400 square meters of screens, 65 plasma screens and 720 spotlights. In addition, ACS dispatched a team of eighty professionals to help build and organize the conference. Conferences like the one in Paris reveal how much ACS has changed over the years. We started out with slide projectors. Now we have LED screens. The tastes and expectations of the general public may have changed, but ACS is still very much in tune with them. Individuality, flexibility and customer focus are our core values and we take them very seriously. We believe it shouldn’t matter what you are planning. Whether it’s a small meeting or a large-scale conference, at home or abroad – we believe everything should run smoothly. From light, sound and video to content and atmosphere. From the biggest temporary rooms to the smallest audiovisual details. Your message should always be received loud and clear, carried and amplified by the right equipment for the job. That’s what ACS strives to achieve with its AV solutions. Our experience, know-how, innovative mindset and state-of-the-art technology are completely at your disposal. As your audiovisual partner, we’ll help you every step of the way and offer expert advice wherever you need it. That way, you’ll always be able to rely on tailor-made solutions that suit your needs perfectly. As for the slides? Well, we’re bound to have some lying around somewhere.